Search engine optimization has gone far beyond getting as many links as you can for your website. With the many changes brought by the Google Panda, Penguin, and Hummingbird, SEO strategies have evolved as well. The focus nowadays is on quality content – as it should be. Although quality content has always been emphasized as the more permanent tool for optimizing your website, some SEO specialists worked around this with spammy content, keyword stuffing, and other black hat SEO strategies. With the changes that Google has made on its search algorithm, the spotlight is back on building good reputation within your site’s niche. Here is where social media comes into play. Social media’s rise in popularity has made it a powerful medium for marketing. Somehow, it has also found a way to affect search engine optimization. 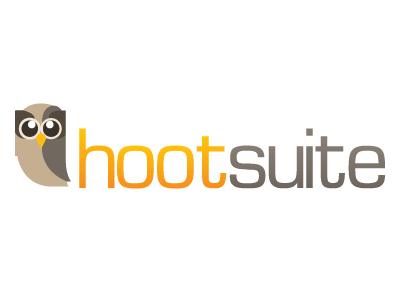 Hootsuite is one of the most popular social media management programs. If you are more oriented towards SEO rather than social media marketing, is it worth your time to use Hootsuite? Below are some ways in which you can use Hootsuite to boost your SEO efforts. Post to your Google+ business page. Google’s own social network, Google+, is quickly rising to be a serious challenger to becoming the most popular social network. Many businesses will benefit with a well-optimized Google+ business page especially with the increased importance of Google authorship. Hootsuite is a great application that can help make it easier for you to manage your Google+ business page. Hootsuite has the capability of posting to Google+ business pages so that you can quickly and conveniently post across all your social media accounts. Post a link to your website through Twitter or Facebook. Two of the most popular social media networks are Twitter and Facebook. Hootsuite helps you utilize these social networks in promoting any content that you want to leverage on your website. This strategy has been proven to deliver significant traffic to web pages being linked to. Get analytics reports. When you post links to your site through your social media accounts, you can then get insight on what works and what does not for your social media audience. Hootsuite has built in analytics reports that provide a lot of data into which posts are being clicked through, which posts are getting noticed, how many comments and shares particular posts are getting, and many more. These may not seem important at first, but the data from these reports will provide information on the topics that your target audience likes and what would stimulate high engagement.